The candle molding machine is a vital device which cannot be done without, in any nation. This is because of the indispensable role candle plays, especially when there is no either source of light. In order to enhance adequate supply to both urban and rural consumers, the production of a candle molding machine is important. The major component of the candle molding machine are: the castled aluminum body, the adjustable screw, which serves as a separation between the too moulds cop and drag (male and female). The reason why there is no cooling system is because the body is made of non – ferrous metal (aluminum) which does not create much vacuum for heat addition as much as steel do and also the mould has operate in opening system which admit natural air inside the mould when opened to cool the max and enhance the quick solidification of the wax. The mould due to its opening system, it works more efficiently under cool whether condition. In every developing nation like ours, it is supremely pertinent to acquaint ourselves with fabrication of machines and components. The clamour for indigenous technology should not be a lip service but should be pragmatic, so that our abundant local raw materials can be affectively utilized. One area effort has been made is in the fabrication of candle moulding machine. Candle is one of the domestic items which all and sundry is cognizance of the indispensable role it plays in our various homes. We should not depend on the importation of such vital domestic item –candle. However, there are already exiting machines for moulding of max into candle. Most of them are complicated in their design and their operation require the knowledge of skilled men and personnel to supervise the operation. Not only this, the cost of importing them here is not a taken, consequently, a candle moulding machine which does the same function of converting max into candle stick has been developed. The candle mould is not costly, not complicated in design and does not require the knowledge of skilled men for its operation. It is manually operated and can be used in our college industries but owning to the limited number of mould cavities it is more advantageous in our home to produce candlestick when the need arises. This project, aims at giving solutions to the problems encountered in the previous related project at most economic level. In our material selection we put into consideration of various materials that can be used to produce the fabrication and with which the machine can function satisfactorily at maximum level of safety. The candle moulding machine shares the same principle as the giant ones produced before it. Likes the gaint ones, it works on the principle of casting. Candle making can be described as the casting of wax into stick form. The molten wax is poured into the mould cavity and is allowed to solidify. The machine has a moulding box (made of aluminum) having 15 cavities with each cavity making 15mm diameter and mm length approximately. There is adjustable screw which move the mould in horizontal axis and also open and closes as each cast. Due to its opening system the solidification is enhanced quickely. Melting of the wax is external to the machine and pouring is done as soon as the wax becomes molten. Not available for deeper research in this project. There is no text –book that gives a cogent means of advancement in the fabrication of the candle moulding machine. We were ambitious in modernizing the existing candle moulding machine built in the school and others seen else where, but the information gathered from them could only help us to develop a similar candle mould, though with little addition in the number of mould cavity and erodent discharge mechanism. Cost has been limiting factor in a very research work. In this project the available fund is not enough to help us visit as many libraries and research centers as possible. We could only visit the ones within our vicinity in ensuring that the cost of production do not over weigh us. 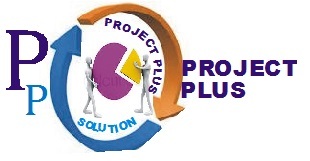 This project is scheduled with a given frame in path and through research is not possible within the time given. We strived to conduct the research and the production within the given frame of time. A factor we put into consideration in the course of this study is the market demand. We anticipate the patronage that can be given to this machine even when it is designed elaborately with high cost of production. Technology development has come up with many inventions, which are close substitute for candle. The invention of rechargeable leathern and like is gradually phasing off the use of candle. If huge money is committed in developing automatic candle moulding machine, the cost of purchasing the machine becomes high and consequently its substitute would be considered. It has been observed that the existing candle – moulding machine has a poor mechanism for centering the wick in the candle wave. This is a major problem encounter in the designing of a simple way of centering the wick (thread). As with any other project investigation, there are various aims and objectives that necessitated this aims are dependent of the problems of the candle – moulding machine. Mostly, the aims are intended for given solution to the problems encountered in related projects, particularly, the previous project done by our predecessor in this school and in other school of which ESUT is among. The following are among the aims and objectives of the investigations on candle moulding machine. While we are engaged in the production of the candle – moulding machine at the minimum economic level, we have selected a material un economic level, we have selected a material that is cheap when compared with other related materials. This material aluminum though not so cheap, is as good as, the other coustly are we also put cost of into consideration when selecting the eject mechanism. In the previous project, the mould cavity was filled one at a time. This creates the problem of non-uniform solidificacation and time wastage. This project has been gone a long way of improving pouring mechanism. Though the melting of the waste is external to the machine and then introduced to the cavities as in the previous project, design of the top of the cavity are such that pouring is done one after another at once. As have been said the cost of production is reduced to the bearest minimum. This is a strategy to increase the demand for this machine since it has seriously competing substitutes. As the production cost reduced, prospective customers then can afford the machine. In this project, the problem of misalign thread along the centre of candlestick is dealt with the mechanism is though simple but effective. This one, the thread was alignment out both up and Bolton of the mould, centered with nails welded permanently on a 2mm thick flat bar.